aww, I found so many wonderful pieces at C&A and want to share with you some stylish and versatile outfits. As the title mentions, FALL WINTER LOOK INSPIRATION, I want to inspire you to wear some of your pieces that you might have already have in your closet in a different way. The first look is very basic but a rather chic look. I somehow always feel a bit more chic when wearing a black/white look. But maybe thats just me. 🙂 Anyhow, I put together a white ribbed 3/4 sleeve shirt with an oversized black lace detail tank top and wear it with blue skinny jeans and a black/beige clutch. To make the look more casual one can wear sneakers. The look can be easily changed by wearing heels or like in my case below to wear small black heels, that make it all a bit more elegant. And now I wanna get to my second look inspiration. 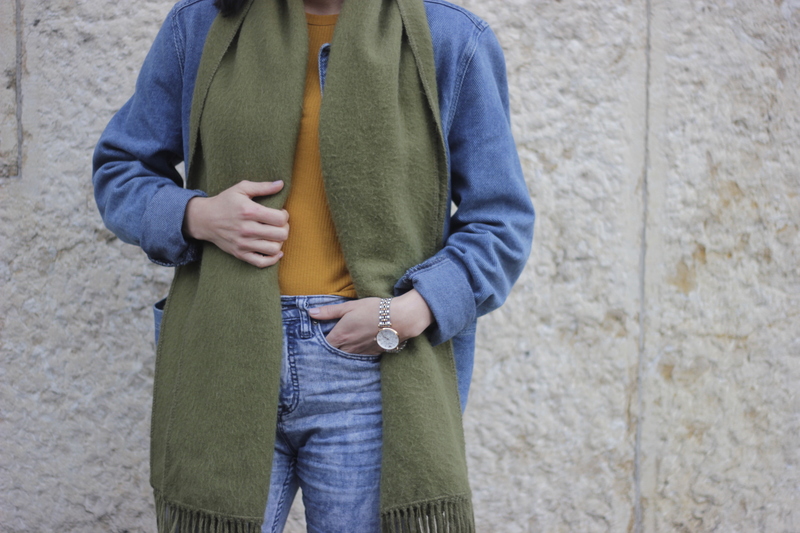 A mustard ribbed 3/4 sleeve shirt with high waist jeans and green/brown tweed heels, gold jewelry and an oversized denim jacket and a big green alpaca scarf. The color combo of that look is so totally me. 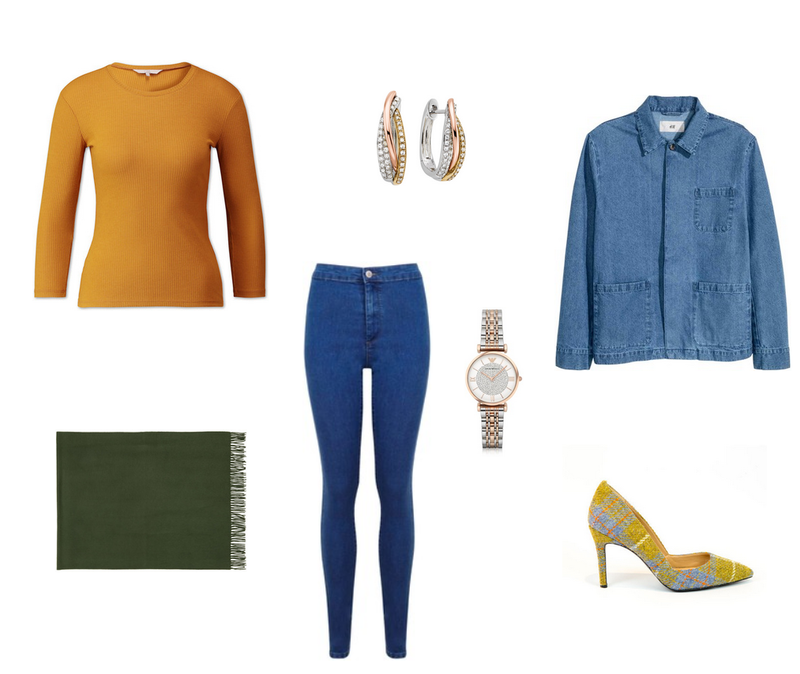 I love the mix of denim, green and yellow. Also in that case you can easily switch the shoes and make the look a bit more everyday. 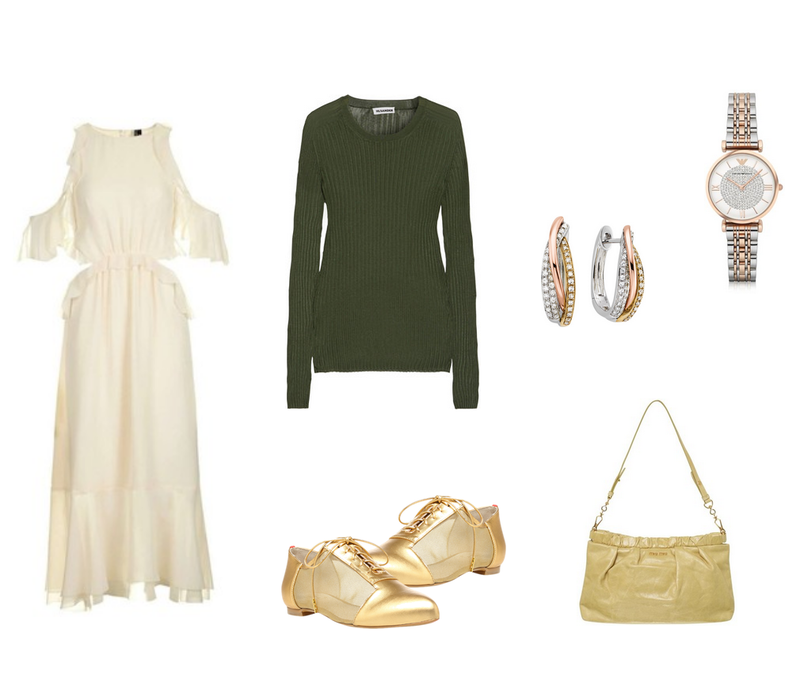 Last but not least I am showing you a look that I have already featured on the blog before. The article was called: “How to wear a Summer Dress in Fall” read more here >> I am still so much in love with this kind of layering look. As it is no longer fall and we have moved into winter I am adding some thick tights and would switch the flat shoes with warm boots and finish the look with a warm coat or wear a big scarf. I hope you have found my outfit inpirations helpful and that it will inspire you to wear your clothes in a new way. Most of the basic pieces, like the ripped shirts, the tank top and the long sweater, I have found at C&A in Basel. I am always amazed about how many cool and versatile pieces I can find there. The clutch that I am wearing in look #1 is also by C&A and I have used it so much thru out summer and realized that its a great all year around clutch. 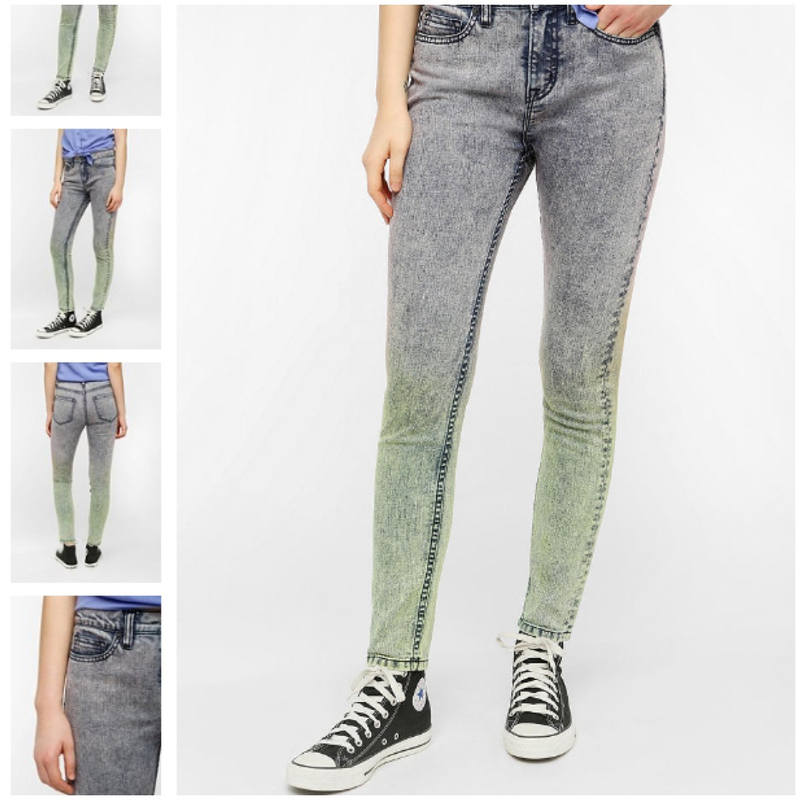 very happy with my new pair of high rise twig BDG jeans from URBAN OUTFITTERS.